We're green! 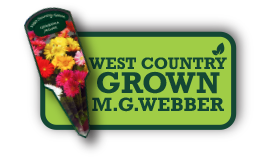 | MG Webber West Country Grown Ltd. 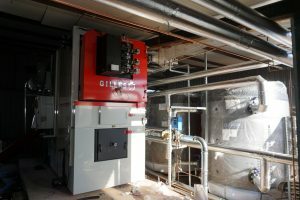 Currently we have three commercial biomass boilers, one at each other our sites. Here at West Country Grown we recognise that biomass is considered a significant revolution in the battle against carbon emissions. Wood fuel is a carbon neutral resource and can make a significant contribution, to both our carbon foot print, and the UK’s. Therefore, we use biomass boilers to heat all our greenhouses, to reduce our carbon foot print. Biomass is organic material derived from plants and animals. Biomass energy is, consequently, produced by burning these materials to create a renewable and sustainable source of fuel. Commercial biomass boiler systems can burn a range of fuels such as wood chip, wood pellet, logs, grains, straw and miscanthus. Of all the biomass fuels, wood is the most commonly used fuel. Wood pellets are made from compressed sawdust, produced as a waste product from sawmills and used in wood pellet burners. Their form is achieved by compression at the pellet processing plant and their shiny surface is from the natural glues found in the sawdust. Wood pellets have significant environmental benefits! Wood chips are small pieces of wood which have been through a chipper to produce suitably sized fuel for wood chip boilers. Wood chip also has significant environmental benefits over heating with fossil fuel!